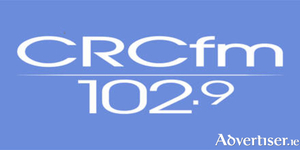 After the Christmas/New Year break the flagship current affairs programme Saturday Forum returns to CRC 102.9 fm at 12.00 noon on tomorrow Saturday January 12. 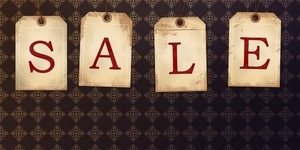 As Christmas Day passes in a whirlwind of Celebrations boxes and torn apart gift wrap strewn across the sofa, the post Christmas sales come hurtling at us at top speed. Samaritans volunteers in Galway are giving the gift of listening this Christmas by ensuring its services remain open for those most in need throughout the festive period. Hunting rabbits was a favourite pasttime of boys and dogs on Omey, that sand-duned, tidal island, that ploughs into the sea at Claddaghduff, near Cleggan. 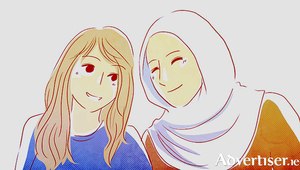 It is possible to say that the over-used cliche ‘magical’ can apply to Omey. * It can hardly be seen from the mainland. But if the tide is out, a series of arrowed posts guide the driver across the strand to the only road on the island. And that too runs out. 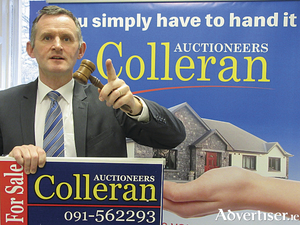 Christmas came early for clients of Don Colleran last week at the company's very successful final auction of the year. 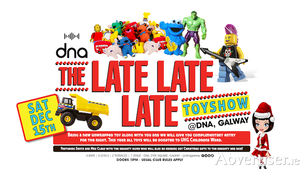 Get into the Christmas Spirit this Saturday, 15th December, at DNA Nightclub’s Late, Late, Late Toy Show. 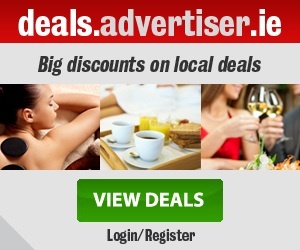 Retail Ireland, the Ibec group that represents the sector, has published its Christmas Retail Monitor 2018 that predicts the Irish household will spend an average of €2,690 in shops this December, approximately €866 more than any other month of this year and roughly three percent more than Christmas 2017. The Christmas season is fast approaching and with only 12 days left before the big day, the last few weeks is usually spent dashing around shops, making lists (and checking them twice), making a mess wrapping gifts, buying the most ridiculous Christmas jumpers and, most importantly, enjoying some well-deserved time off. While Jesus is the central figure in Christianity, it is widely unappreciated that Jesus is also one of the major figures in Islam, and deeply revered by Muslims. Jesus will be at the centre of a Christian/Muslim interfaith event in Galway. Why not give the gift of a language this Christmas? 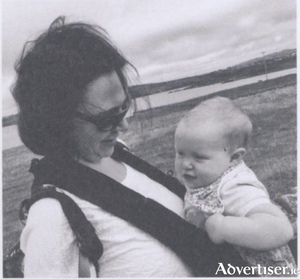 Conradh na Gaeilge is running a special offer on all its Irish language course vouchers until the end of December.